"Tango is a child of crisis", - wrote Sonia Abadi, an astute observer of the Buenos Aires tango scene. "12 Tangos: Adios Buenos Aires" is a documentary about economic crisis, despair, resourcefulness and reverse Argentine emigration. It is told with twelve modern and classic tangos. The director Arne Birkenstock (Cologne, Germany) has a long-running "love affair" with the Argentine tango and the deep interest in Argentina. He talks about the events which inspired his documentary and the people who appeared in it. Music Director: Luis Borda. Choreographer: Gillermina Quiroga. Joe Powers is a harmonica player from West Coast, USA. He is a winner of Crystal Harmonica Award (Belgium, 2008). While studing dance in Buenos Aires, he found the recordings of Hugo Diaz. Diaz was an inspiration to play tango on harmonica. Powers plays like somebody who is intimately familiar with both - dance and music of the tango. In 2007 he released his first tango CD Amor de Tango, recorded with the top-notch Argentine musicians. (2/2) Astor Piazzolla is still the best known tango composer and musician in the world. Largely, the cosmopolitan sound of the tango nuevo which he started stems from his early exposure to the wide variety of music - from the European classical to the American jazz. The two-part show is dedicated to Piazzolla's formative years and the diverse musicians he learned from. Pablo Aslan (Avantango): stretching the boundaries of tango. Interview. Fancy that: saxaphone in tango! Pedro TETE Rusconi is one of the last milongueros of tango's Golden Age. He has been dancing tango for almost 60 years. His personality and style of dancing are unique and iconic. Silvia Ceriani, a writer and an artist, has been Tete's teaching partner since 1995. 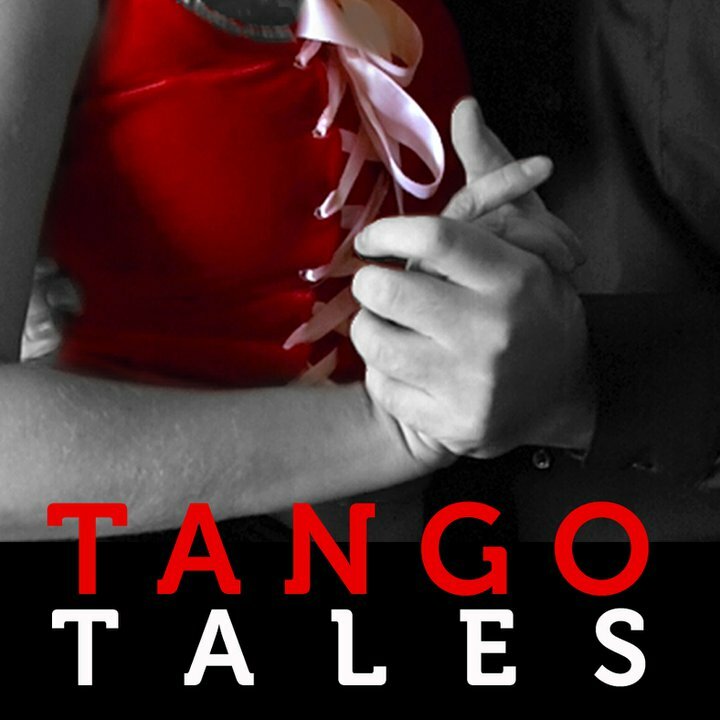 Her personal tango journey is fascinating. Interview with Tete, Silvia and Daniel Tonelli, the director of the documentary about Tete. Orquesta Escuela de Tango (Training Orquestra of Tango) is a result of very determined efforts by very charismatic group of musicians. Caroline Neal's award-winning documentary Si Sos Brujo (If You Know Magic) records the birth of the orchestra. Caroline Neal talks about the near-death period of Argentine tango, its renaissance, tango preservation projects in Argentina, Orquesta Esquela de Tango, El Arranque, Emilio Balcarce, Ignacio Varchauski, Nestor Marconi, Horacio Salgan and Alfredo Gobbi. And, yes, there is the love story there, too! (1/3)Guitar in tango. Great tango guitarists. Guitar was the first instrument of tango. I talked to the Argentine guitar master Francisco Pancho Nararro about the role of his instrument in tango and the best tango guitarists of the past and present. The show features three of the masters named by Navarro - Roberto Grela, Juanjo Dominguez and Cacho Tirao. (2/3)Guitar in tango. Great tango guitarists. (3/3)Guitar in tango. Great tango guitarists. (1/2) An Argentine-born guitarist performed and recorded with many stars - from Placido Domingo to Rolling Stones. The soundtrack to the movie Frida, where he plays almost on all tracks, sometimes solo, won an Oscar in 2002. Now it was time for the artist's first solo CD - Sweet Guitar. (2/2) An Argentine-born guitarist performed and recorded with many stars - from Placido Domingo to Rolling Stones. The soundtrack to the movie Frida, where he plays almost on all tracks, sometimes solo, won an Oscar in 2002. Now it was time for the artist's first solo CD - Sweet Guitar. (1/4) Rob Connaire is a dancer and a musician from Philly, PA, USA. This essay is his personal journey into tango - dance, song and poetry. He is the person with much, much finer understanding of music than I myself ever hope to achieve. And he is passionate about tango. As I worked on this project I learned a lot about tango music and you, my listeners, will learn a lot, too. (1/2) What does it take to start a tango studio? (2/2) What does it take to start a tango studio?